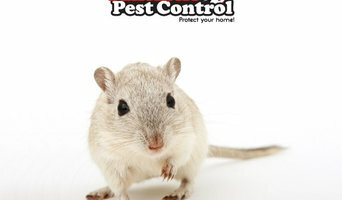 Fantastic Pest Control Bolton is your loyal and dependable partner in battling pest and vermin. 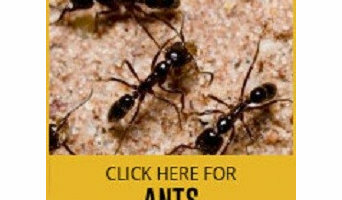 For all kinds of pest infestation (rats, mice, bed bugs, cockroaches, spiders, etc) the dedicated and highly qualified pest controllers will provide timely, affordable and efficient services to protect your home or office. We know that taking action fast is crucial for battling vermin and are therefore available seven days a week even on short notice. The team delivers comprehensive pest control that includes a number of tasks, helping us make sure every room in your property will be treated and every pest will be removed as well as giving you advice on how to protect your property in the future. Visit our website for more information. We are leaders in the field of pest control and extermination services in Bolton. Our company is a fully licensed and insured pest removal services provider. Our team members are knowledgeable, experienced, and trained with the latest techniques. Contact us anytime and get your free, no-obligation quotes! EPCarlson is a professional team of qualified Building Surveyors, Home Inspectors and Home and Commercial Energy Assessors. Using state-of-the-art equipment such as Thermal Imaging to identify sources of unnecessary carbon emissions and energy leaks; EPCarlson is highly trained and dedicated to saving you money. We are experienced team of pest control experts specializing in a wide range of pest and rodent extermination around Liverpool. We have been working in the field for a long time now and we take pride in saying that we offer one of the best and most comprehensive pest management services. The pests invading our homes and offices carrying diseases and causing damage to our property. Our pest control services were created just with that thought in mind to stop and control pests, so do not hesitate to call us 24/7. Pestinator is residents' first choice when it comes to pest control services in Liverpool for domestic or commercial properties. The expert technicians will help regardless if it's a rat, mice, bed bugs or another crawling, flying and rodent infestation. Our customer support team are available 24 hours a day, all week, even on bank holidays. Call us now. Aughton Hire is the test and measurement division of Aughton Automation. Feel free to get in touch regarding our calibration services and test & measurement equipment available for short and long term hire. We are fully licensed and insured pest control company in Warrington and we offer a wide range of services. Our technicians are fully equipped with the most modern tools and everyone is trained with the latest techniques. Contact us anytime and get your free quotes! Scope iT Surveys is a Provider of qualified, competitive & independent asbestos surveying management services in the UK. With a team of qualified and experienced Surveyors, we deliver surveying services in all asbestos related issues to a wide client base nationwide. We service clients for various properties from local housing, schools, factories, depots to chemical plants. Why should I hire Liverpool, Merseyside environmental services? If not dealt with professionally many household maintenance problems can remain or even become worse. Damp, mould, rot and certainly asbestos are dangerous or unhealthy substances to have in the home, so it’s very important to hire Liverpool, Merseyside environmental services to remove them for you. You will find that many property maintenance services offer full restoration work after they have removed the damp, mould, woodworm or rot, so you will not have to worry about tidying up after removal. Prevention is always better than cure, so if you’re planning a basement conversion or building in areas susceptible to flooding, high winds or other potential damage, then it’s a good idea to talk to Liverpool, Merseyside environmental services or specialists first. Damp proofing can be handled by damp specialists and uses the latest materials and technologies to ensure your house is protected from damp and mould. You may want to damp proof a basement or other room while it is being restored or renovated, so it’s a good idea to talk to other specialist property maintenance services or contractors while you arrange your damp proofing. Here are some related professionals and vendors to complement the work of environmental services: Tree Services, Skip Hire & Rubbish Removal, Home Builders, Main Contractors. Find environmental services and property maintenance services on Houzz. Narrow your search in the Professionals section to Liverpool, Merseyside property maintenance and environmental services to find a list of qualified professionals. Read through professional profiles for information on certifications, experience and services provided.